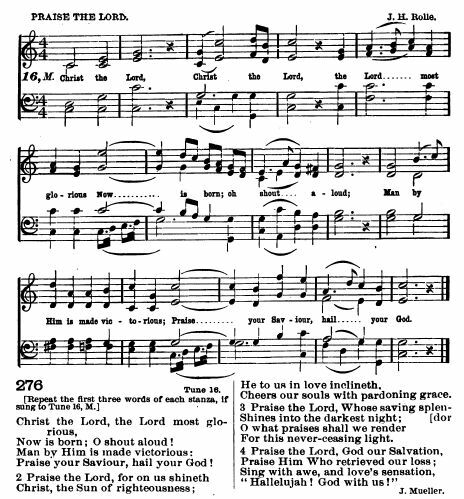 Source: A Collection of Hymns for the Use of the Protestant Church of the United Brethren. New and Revised Edition. (Manchester: R & W. Dean, 1809), #47, p. 16. Tune: #16. Now is born; O shout aloud! Cheers our souls with pard'ning grace. 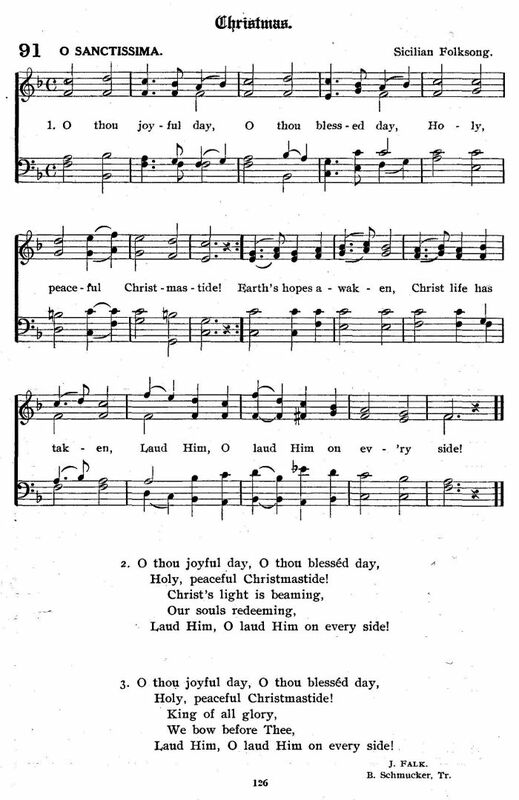 Sheet Music from The Liturgy and Offices of Worship and Hymns of the American Province of the Unitas Fratrum, or The Moravian Church (Winston Salem, Southern Province, 1908), #276, Tune 16, p. 59. The "Sicilian Mariner's Hymn" — which likely has no relationship to Sicily — occurs in print from the mid 1790s and later, including Tattersall's Psalmody in 1794 with the name "Sicilian Hymn." It has often been paired with the Latin poem "O Sanctissima," but has also been paired with numerous translations and other lyrics over the years. It's exact origin and date of composition is unknown. Praise the Savior, hail our God! Mary noted, however, that "Most Moravians still use the older version at their Christmas Eve services because we're quite stuck on tradition. Many know it by heart so changing it would cause quite a stir." We are always grateful to get notes from our visitors with these kinds of updates. Thanks, Mary!